Award season is upon us, everyone -- and that means it's time to take a gander at all of the jewels loaned to Hollywood's stars for each big event. 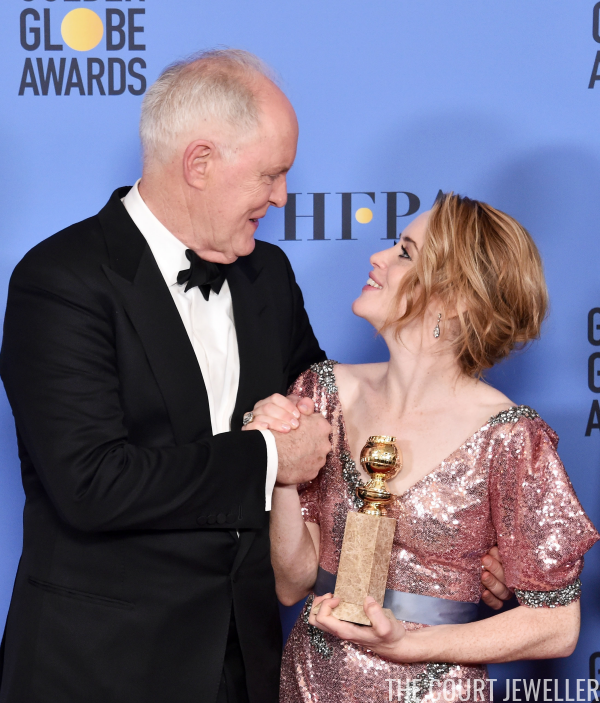 Last night's Golden Globe Awards is our first event of the season; let's begin with a look at some of the vintage bling on display, shall we? Nicole Kidman, one of the stars of the nominated film Lion, attended the ceremony in jewels borrowed from Fred Leighton. According to the firm, the necklace she wore is a double-stranded diamond riviere that dates to the nineteenth century. Also wearing jewels from Fred Leighton: Claire Foy, who won a Golden Globe for her portrayal of Queen Elizabeth II in The Crown! (Have you read our jewel-focused recaps???) The company loaned her a pair of nineteenth-century diamond teardrop earrings. Natalie Portman was nominated for playing Jacqueline Kennedy Onassis in the film Jackie, and she wore jewelry loaned to her by Tiffany and Co. for the ceremony. She wore a stunning pair of diamond statement earrings with her outfit. But for those of us who love vintage jewelry, the real piece of interest was her diamond bracelet. She noted during the red carpet broadcast that it was made around 1910. And here's a look at the rings she wore on her left hand. 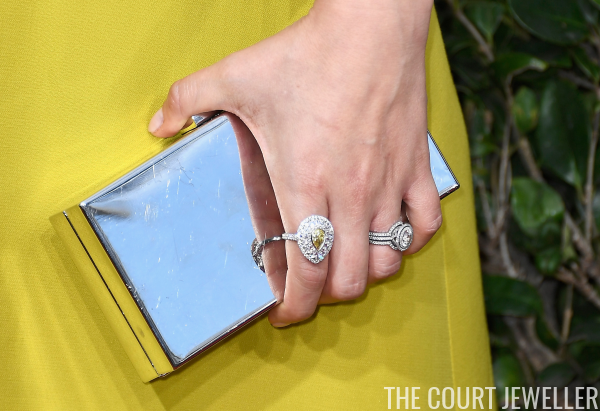 Stay tuned all day for more posts on the jewelry of this year's Golden Globe Awards! Labels: fred leighton , golden globes , hollywood royalty , tiffany and co.